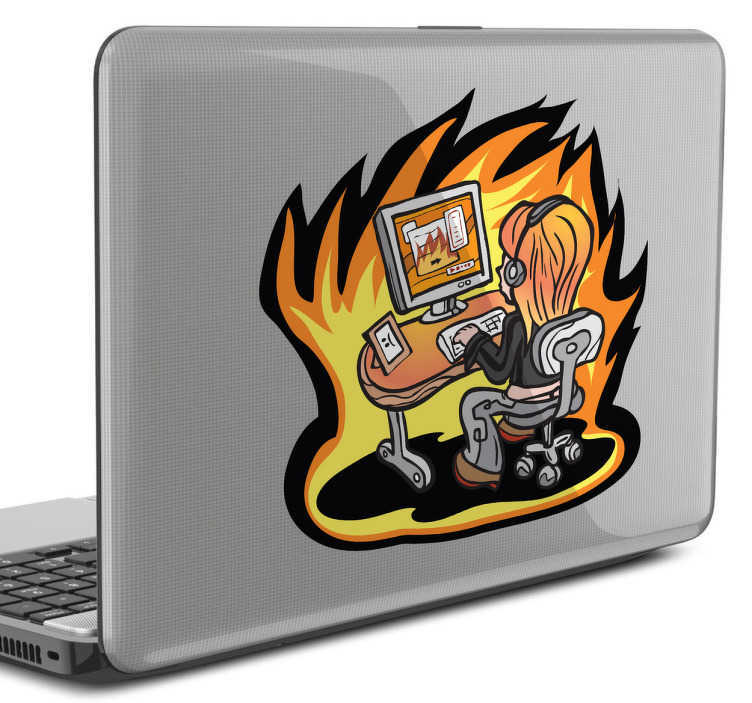 A laptop sticker with an illustration of a young hacker in action sitting at her desk. A controversial yet fun sticker to place on your laptop or anywhere you choose. Customize it in a size that suits you.